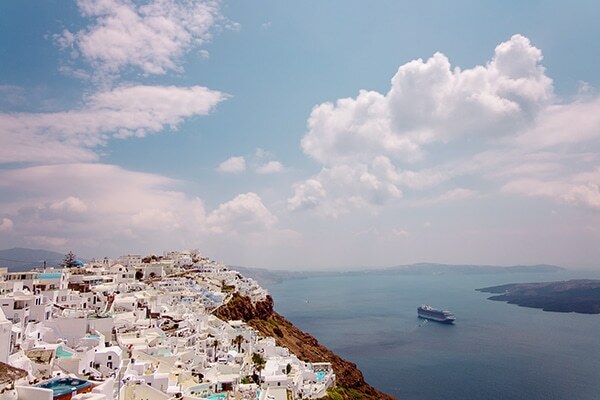 Today we’re travelling to beautiful Santorini island, where everything seems more romantic and magical. 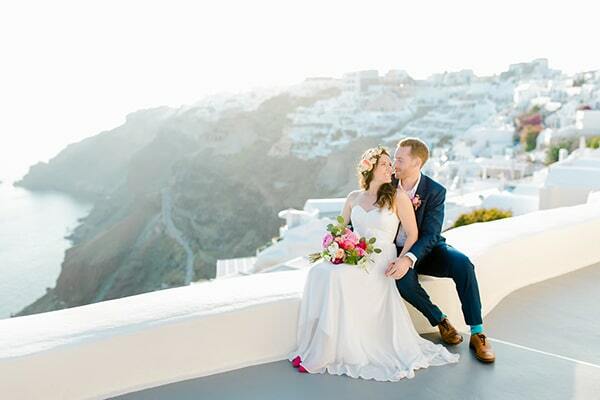 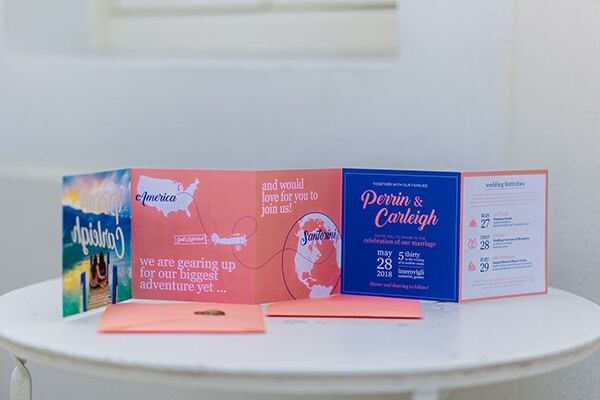 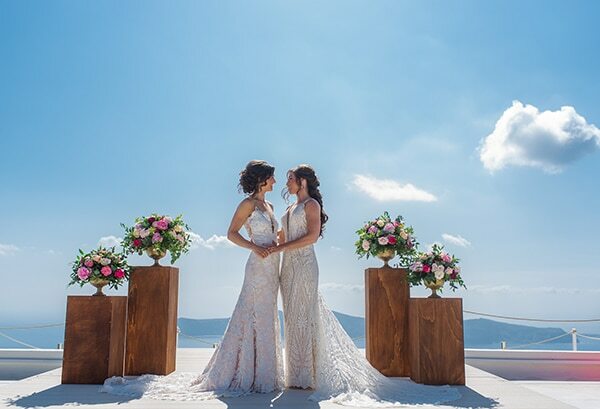 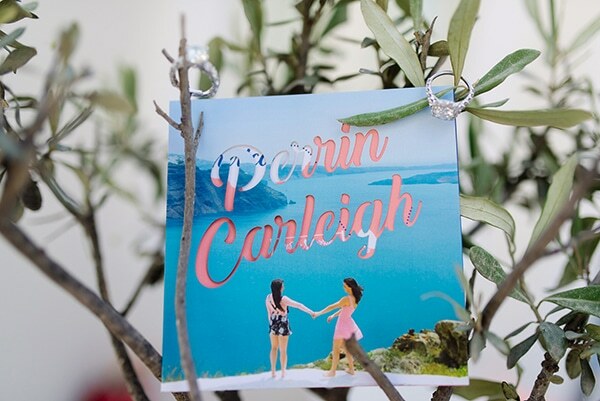 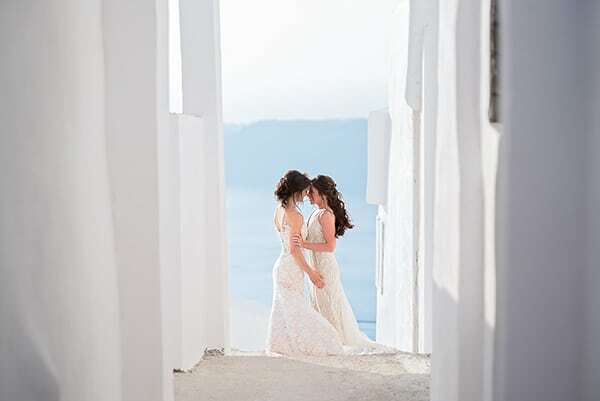 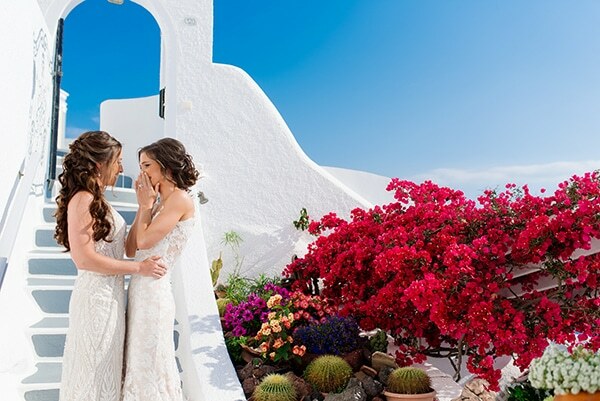 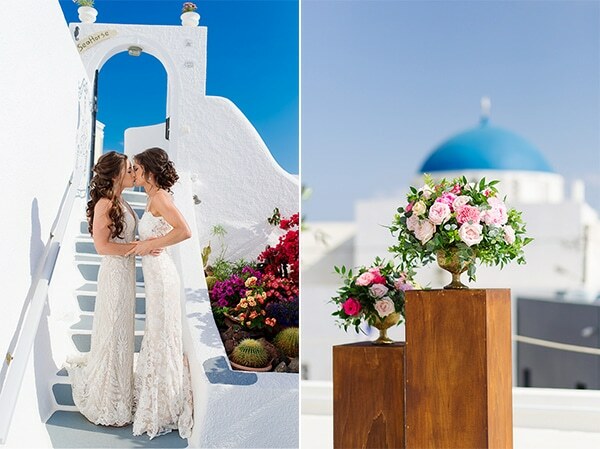 Perrin and Carleigh fell in love with Santorini a year before their wedding, so they decided that this place will host their wedding. 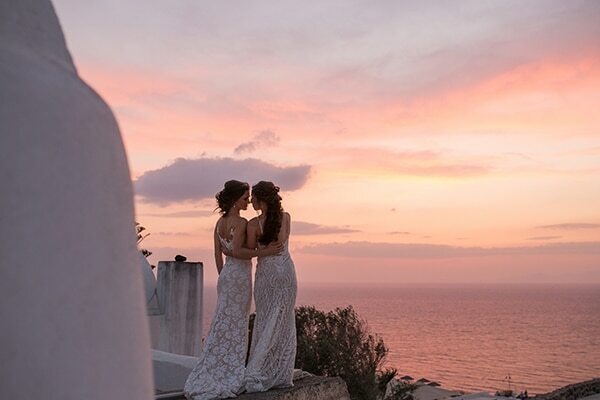 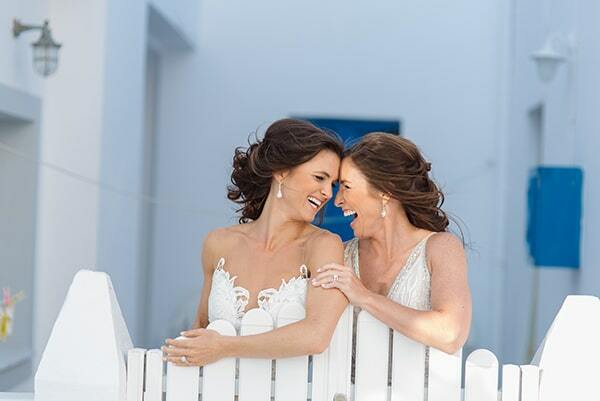 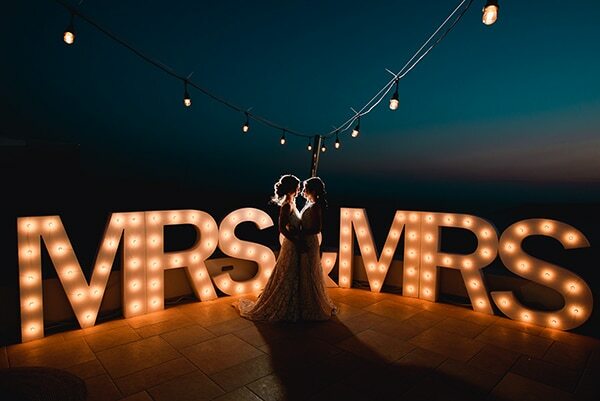 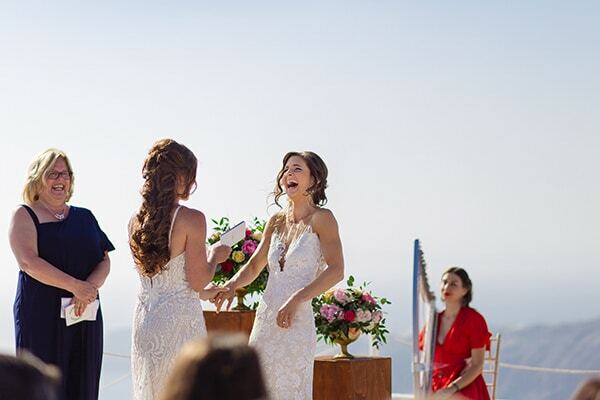 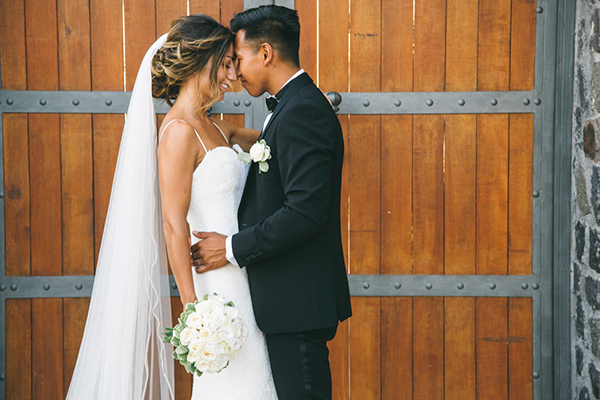 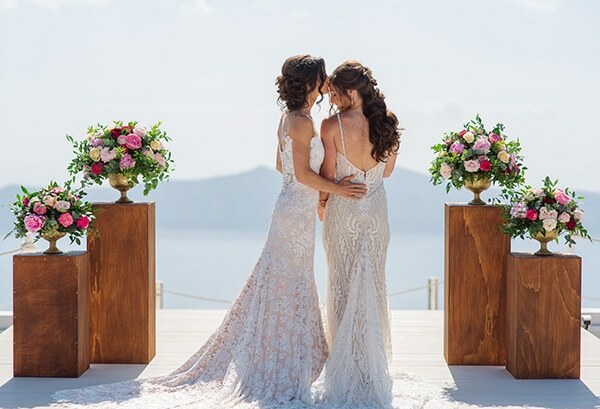 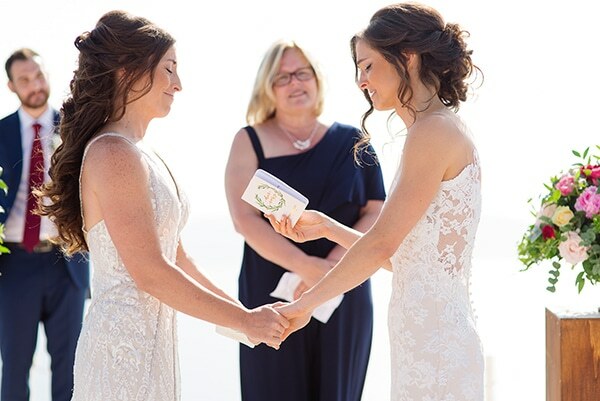 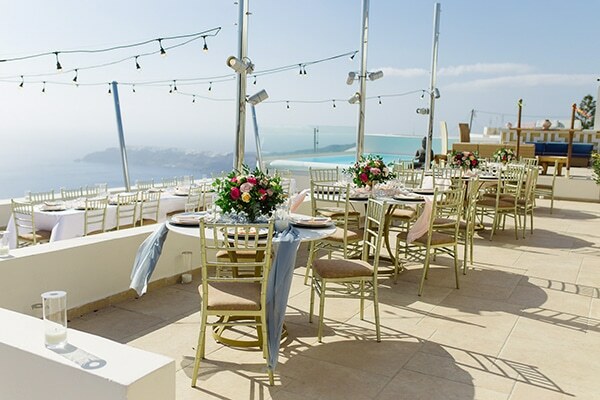 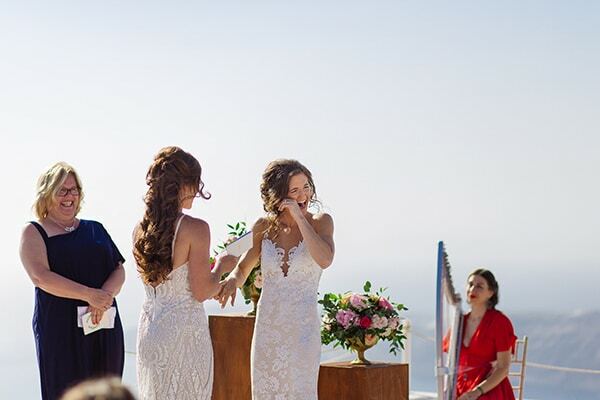 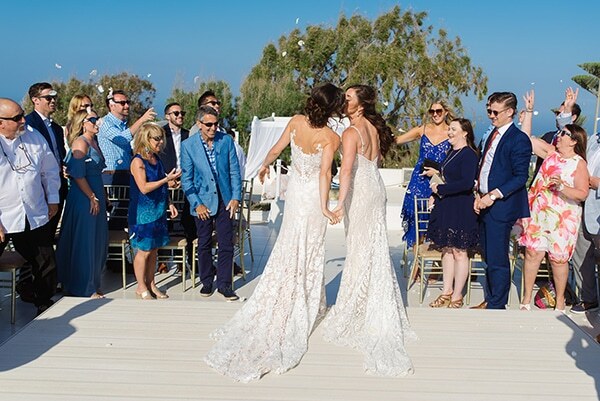 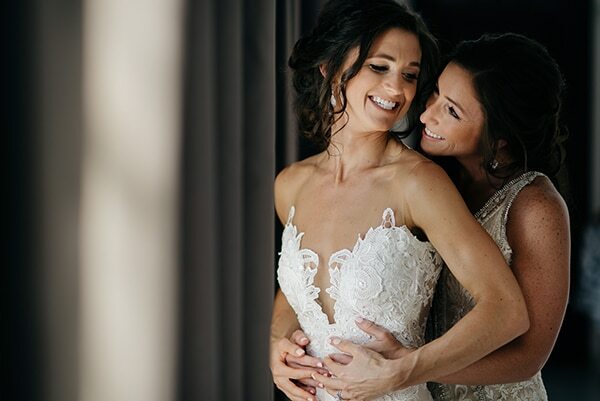 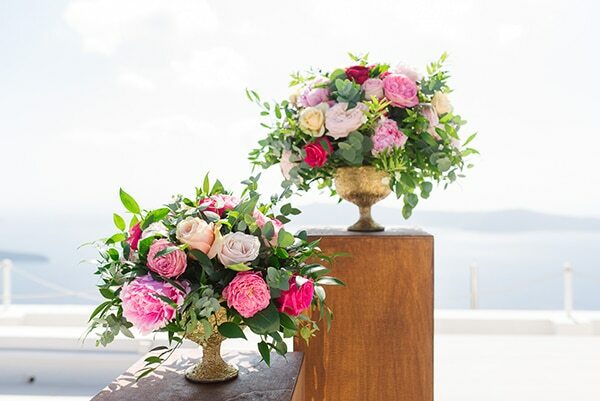 A year after, they created a gorgeous dreamy wedding overlooking the deep blue sea. 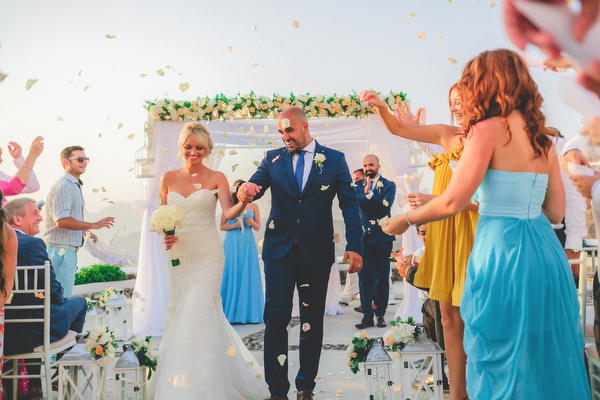 It was an adventurous trip for their family and friends who travelled to the island for the first time, just for the wedding. 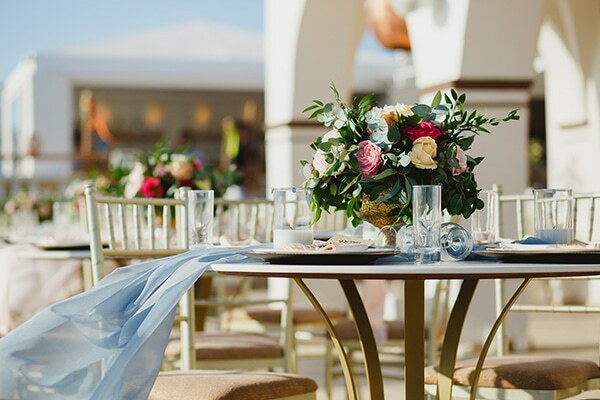 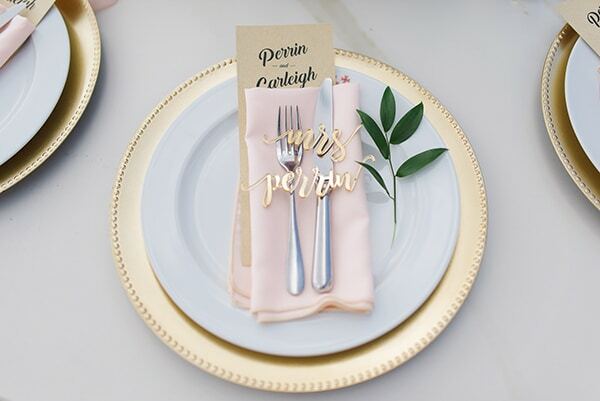 A beautiful venue decorated with gold details, fresh flowers and touches in pastel hues was ideal for such an elegant yet romantic reception! 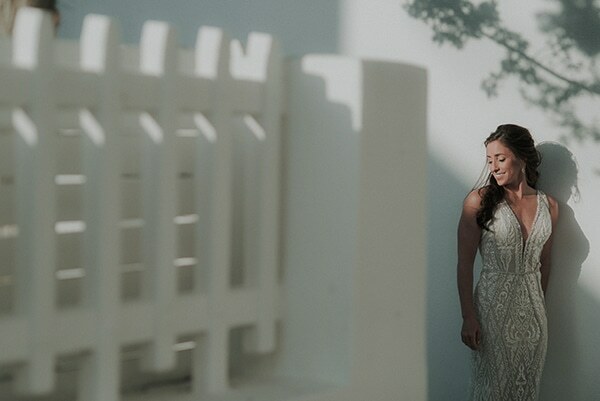 See every single detail through the following photos!